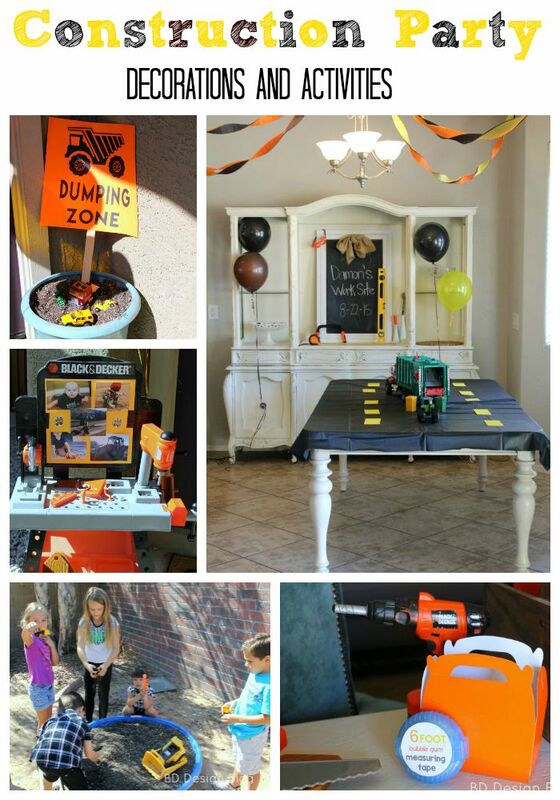 Construction Birthday Party Decoration and Activity Ideas – inspiration on how to decorate, what activities to do, and party favor ideas. 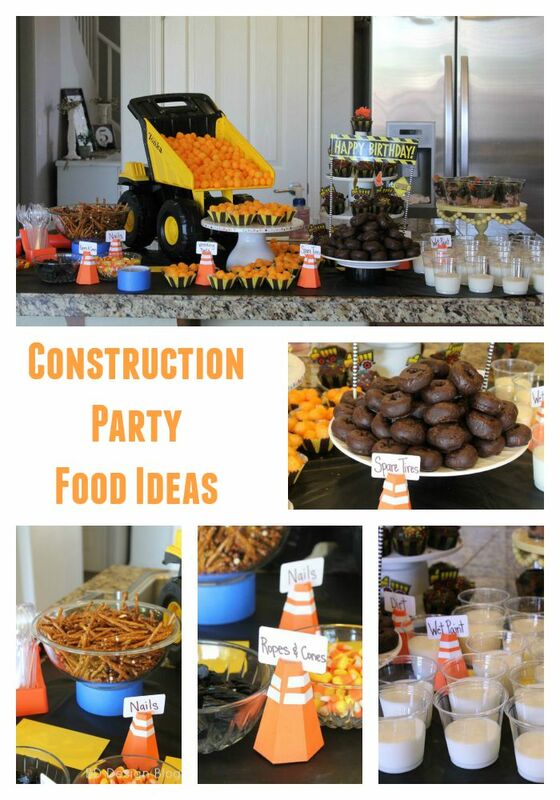 In my last post, I shared with you the food that I made for Damon’s Construction Birthday Party. Today, I’m so excited to show you what I did for the decorations, party favor, and activities. It was a jammed packed party so the 1.5 hour party seemed to fly!!! The table decorations were SO simple to put together since I already had everything in either the playroom or my garage! Ha! I had to stop myself from bringing in every tool, paint brush, sander etc. to decorate with…perks of having your mom be a DIYer! 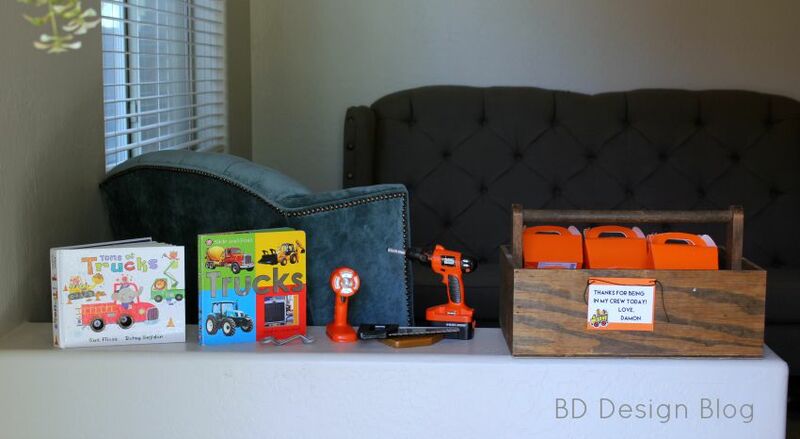 For the favor boxes I made all 18 friends their own little orange take home boxes which included a measuring tape made out of bubble tape, a tractor toy, stickers, and bubbles. The activities were so much fun to think up! Honestly, I had to cap it at 3 activities so I didn’t overwhelm the kids but we could have spent hours playing. Once the party started we had 3 rotations going at the same time since we had so many kids. The first station was the “Hammer Zone”. The day before the party I froze 20 tupperware squares with plastic toys inside. At the hammer zone they used my tack hammer (OF COURSE WITH PARENTAL SUPERVISION!!) to smash a block of ice. They LOVED this activity!! The next station was the “Dumping Zone”. We hid all of their tractors and bubbles that went home with them in their favor box. The last station was the “Building Zone”. I bought about 200 small foam cups and let them go to town with building towers! I was so impressed with the skills that these little kids have when it comes to constructing these buildings!! Then at the end we had the PINATA!! Always a crowd pleaser. I had to laugh because all 18 kids went through the line and the pinata was intact! All in all this party was one of my favorite ones I have done. It was low key yet so much fun!! Having the same theme for my 4 year old and i just wanted to know where did you find the cheese ball wrecking ball holders. Today you will find me…..